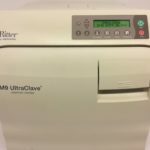 NEW – Midmark/Ritter M11 Ultraclave – Automatic Autoclave 5 YR WRNTY! Midmark has designed the M11 with features that have benefits which are directly perceptible to the operator or practice manager. One of the most important is the automatic opening door on Ultraclave model that is a handy feature for Nail Salons. 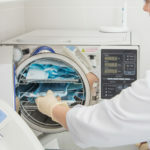 By having the door open automatically at the end of the cycle, the most obvious benefit is that the unit is now in the dry mode and to alert the operator that the current sterilizing cycle is over. 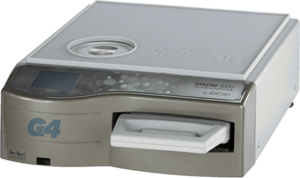 For most operational needs, the user needs only to push two buttons to begin a sterilizing cycle. After loading the materials and closing the door, the operator simply pushes one key to select one of the regular cycles and a second button starts the operation. No further operator interaction is needed. 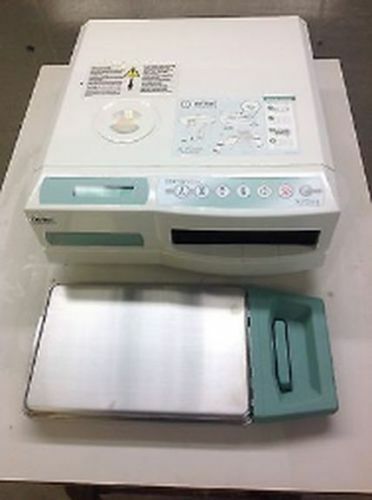 Single button controls allow quick sterilizing of items by using the four defined cycles: “Unwrapped.”, “Pouches,” “Packs,” or “Hand pieces.” Each of these has a particular sterilizing temperature, time, venting type and drying time established as follows: Unwrapped (132º C or 270º F for 3 minutes), Pouched (132º C or 270º F for 5 minutes), Packs (121º C or 250º F for 30 minutes), Hand pieces. The cycle begins by pressing the “start” button. 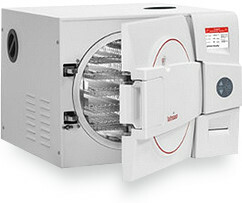 The Bright Green LCD Display on the Midmark M11 autoclave is a comfortable view of indicators. 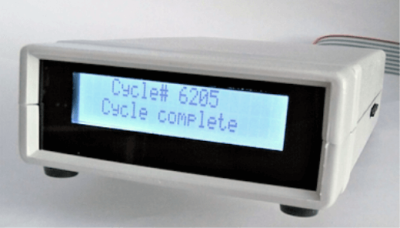 The display indicates the cycle selected, temperature and exposure time for the selected cycle. During the event, the display shows messages describing the status of the cycle. 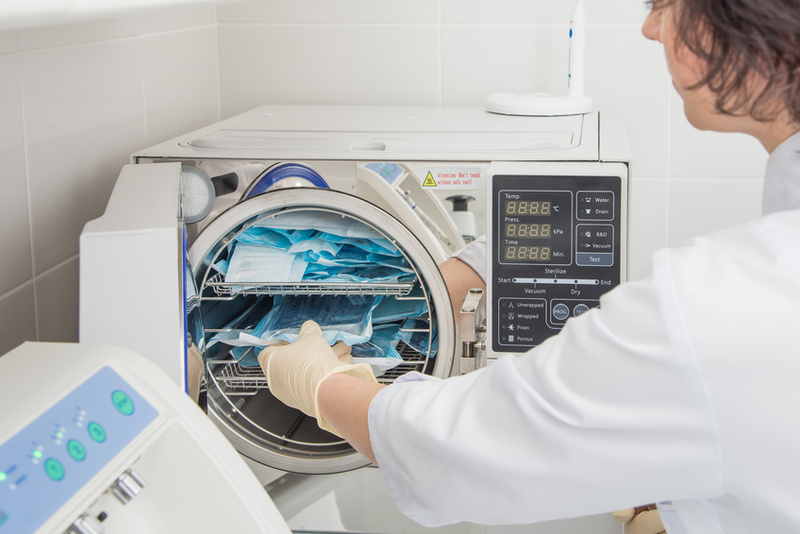 When the cycle enters sterilization mode, the remaining time is there as well as temperature and pressure. 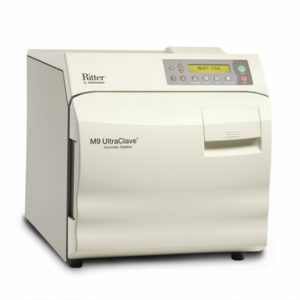 Programmable controls allow for the creation of various cycle parameters to meet your unique sterilization needs. Vent (slow or fast) and two program buttons. 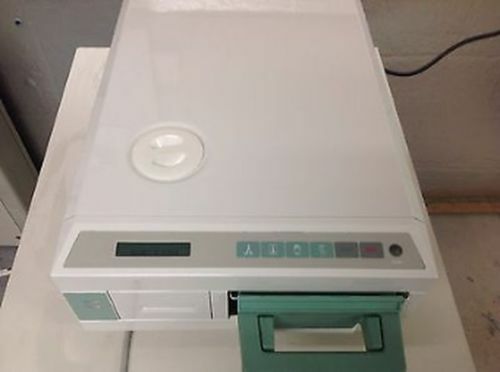 The one and two buttons allow you to store the change if desired for future use. 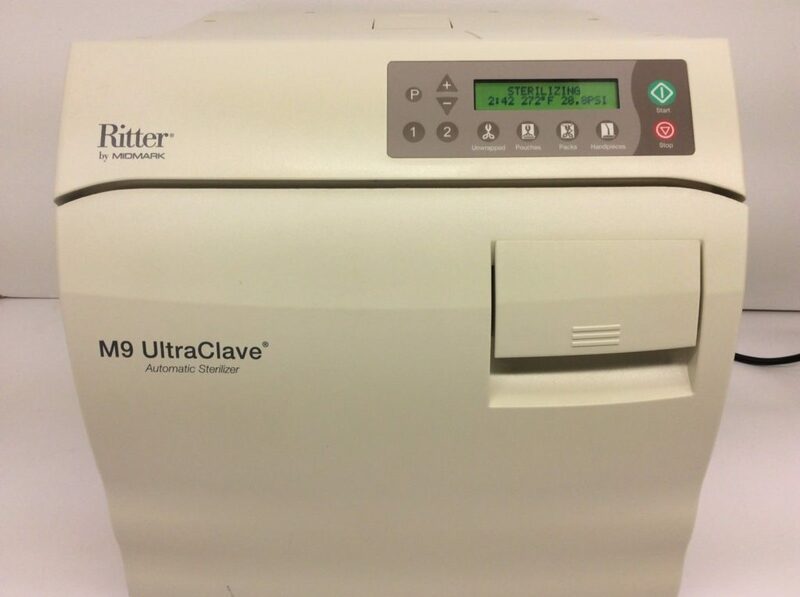 NEW – Midmark/Ritter M9 Ultraclave – Automatic Autoclave 5 YR WRNTY! 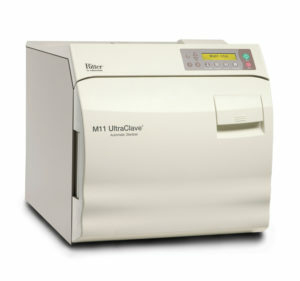 NEW – Midmark/Ritter M11 Ultraclave – Automatic Autoclave 2 YR WRNTY! 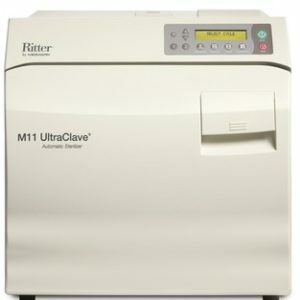 NEW – Midmark/Ritter M11 Ultraclave – Automatic Autoclave 1 YR WRNTY! 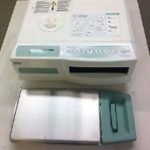 NEW – Midmark/Ritter M9 Ultraclave – Automatic Autoclave 2 YR WRNTY! 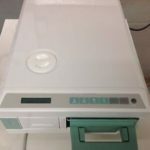 NEW – Midmark/Ritter M9 Ultraclave – Automatic Autoclave 1 YR WRNTY!